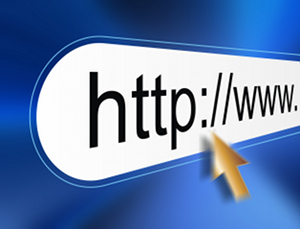 Web browsers such as Internet Explorer, Firefox, Safari and Google Chrome allow us to surf the Internet. With them, we can visit websites, read blogs, and even look for our ancestors. Alone, browsers are powerful. However, you can install programs known as "browser extensions" to extend the functionality of the browser. Most of these browser extensions are free and many can be accessed to assist you with your genealogy research or to improve your productivity. Most web browsers provide users an extended experience through "extensions" although they may use different terms to describe the programs. Google Chrome and Safari call them "extensions;" Internet Explorer calls them "add-ons;" and Firefox confuses users by calling them both "add-ons" and "extensions." An extension or add-on is usually specific to a web browser and most, if not all, are free. Just like any other program you install on your computer, make sure you know the source of the extension and that you can trust the developer of the program. It is better to visit the official extension page for each browser rather than looking for them in a search engine. Review the functions of the extension and determine if it will serve your needs in terms of research and genealogy. Download and activate the extension then take it for a test drive. Make sure you understand how to uninstall extensions from your browser if the extension is not a good fit for your research habits. The easiest way to discover browser extensions is to use the list of resources at the end of the article and explore each site. Some advice when it comes to adding browser extensions: don't overdo it and look for the most useful and most efficient extensions. You may find that too many extensions can cause sluggish performance, slow searching, or unexpected browser shutdowns. If this is the case, remove some or all of your extensions and then add back only the ones you absolutely need. Another approach is to "turn off" extensions that you don't use frequently and then activate them when needed. Be careful since some browsers will re-activate all installed extensions the next time you restart your computer. If so, then uninstalling the extensions you don't need could be your only option. Here is a curated list of the more popular and more useful extensions for research and genealogy-related activities. IE Tab (for Google Chrome): There are times when you find a site that won't run in Google Chrome or a non-Internet Explorer browser. This extension provides you with native IE functionality within the Google Chrome browser. LastPass (multi-browser): LastPass is an amazing password manager; some would even call it a personal data manager. The extension page works with all browsers. PDF/PowerPoint Viewer (for Google Chrome): Allows you to view PDF files and PowerPoint files right from the Google Chrome browser. CloudMagic (for Firefox): Allows you to conduct quick and fast searches across Gmail, Yahoo, Hotmail, Dropbox, Evernote and more. EasyBib (for Google Chrome): EasyBib bills itself as an "information literacy platform" providing source citation, note taking, and research tools. Evernote Clearly (for Firefox) / Evernote Clearly (for Google Chrome): Evernote Clearly makes blog posts, articles and webpages clean and easy to read. Save them to Evernote to read anywhere. Evernote Web Clipper (for Google Chrome): Use the Evernote extension to save things you see on the web into your Evernote account. It even lets you search through your notes. Pocket (for Google Chrome): Read content you see on the Web later, even when you're offline. Allows you to sync between multiple devices. Quickrr Research (for Google Chrome): Open multiple tabs with search results on the topic you're interested in including Google, Wikipedia, News, Images, Twitter and more. Send to Kindle (for Google Chrome): Allows you to send content found on the Web to your Kindle device for reading and access later. WolframAlpha (for Google Chrome): Adds instant access to the information available at this amazing site, better described as a "computational database." Use to calculate historic value of money, statistics on given and surname usage, as well as determine date information. Zotero Connector (for Google Chrome): Save references from Chrome to Zotero which allows you to collect, organize, cite and share content. Ancestry Collection Slideshow (for Google Chrome): Browse records on Ancestry as a slide show with no clicking page by page; uses the scroll function to navigate. Fast Image Research (for Firefox) and Fast Image Research (for Google Chrome): Uses "reverse image searching" to match images from Google Images and TinEye. Right-click an image to instantly find its likeness anywhere on the Internet. phpGefView Search (for Firefox): Allows you to highlight text on a page and search for text text in your phpGedView-based genealogy website. RootsSearch (for Google Chrome): a multi-function extension that allows you to look at an ancestor in an online tree and then check other sites for matching records. Basically RootsSearch allows you to search across multiple genealogy sites for matching records. Sites include Ancestry, BillionGraves, FindAGrave and more.